The anti-inflammatory, toning and draining effects of the Deep Oscillation® device have been used in rehabilitation medicine for the last 20 years. In contrast to externally applied mechanical forms of therapy, (e.g. 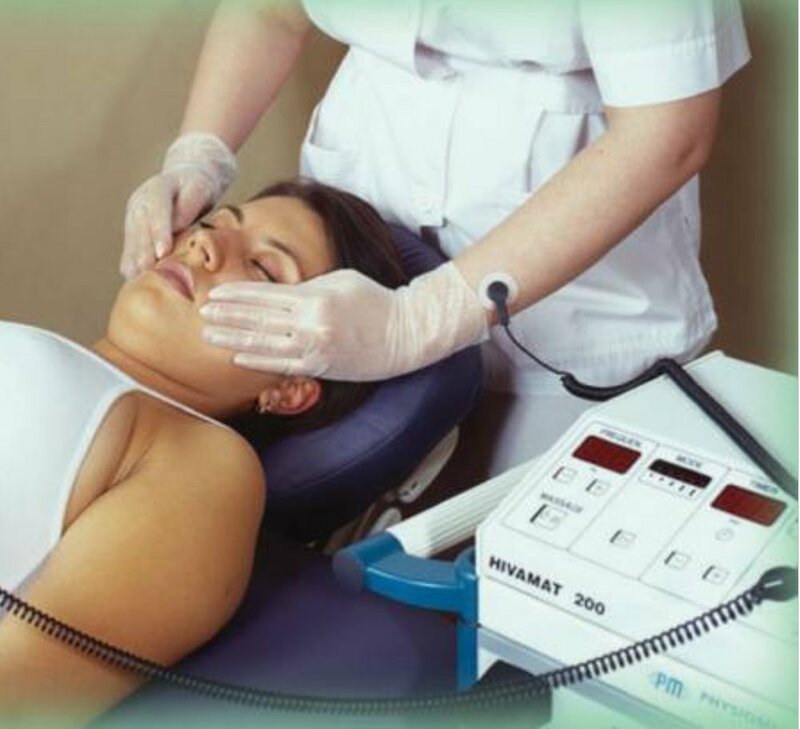 vibration), the therapy effect of DEEP OSCILLATION® takes place in the tissue itself and works through the entire depth of the tissue layers (skin, connective tissue, subcutaneous fat, muscles, blood and lymph vessels). This causes DEEP OSCILLATION® to be especially gentle and makes it an unmatched treatment alternative for fresh trauma, postoperative trauma, for acute pain and in the area of open wounds, edema , Lymphedema and fibrosis. DEEP OSCILLATION® helps in speeding up and improving wound healing processes. Through the oedema-reducing and anti inflammatory effect, the local metabolic elimination and alimentation is improved in all tissue layers, whereby tissue regeneration and wound closure are encouraged on many levels. This is documented by the significant improvement in planimetric and biochemical parameters of the wound healing. DEEP OSCILLATION® alleviates pain by reallocating and flushing out pain transmitting and mediating substances. It suppresses inflammation and oedema induced pain by restricting pro inflammatory cell movement to the damaged area, by reducing the inflammatory mediator release, and by oedema reduction. In chronic pain syndromes and posttraumatic conditions reduced mobility often is caused by constricted microcirculation due to increased tone of the muscles encasing capillary vessels. DEEP OSCILLATION® is muscle relaxing, enabling optimal metabolism and normalizing of defective nerve function. As a measurable sign range of movement can be obtained or even increased. DEEP OSCILLATION® suppresses acute and chronic inflammation by restricting pro-inflammatory cell movement to the damaged area, by reducing the inflammatory mediator release, and by inhibiting water and protein leakage from the blood and lymph vessels. On the level of the interstitium, DEEP OSCILLATION® causes a »Shuffling« of the basic substance, thus promoting the removal of interstitial fluid as well as content material. Interstitial septa and fissures are kept open by the mechanical activation, which helps interstitial drainage. This significantly reduces both local oedema and aseptic inflammation. The treatment brings a significant reduction in swellings in the area of the wound. In chronic conditions the treatment helps to disperse fibrosis and to diminish hardening of the tissue. After Breast Cancer Surgery DEEP OSCILLATION can be applied from Day One Operative providing significant pain relief, a reduction in swelling, quicker reabsorption of Haematomas and improving sensitivity, mobilility and a dynamic wound healing. Additional Deep Oscillation supplementary to manual lymphatic drainage can significantly enhance pain alleviation and swelling reduction in patients with secondary breast lymphoedema compared with manual lymphatic drainage alone. DEEP OSCILLATION® disrupts or prevents the formation of rough fibrous septae and reduces the sensitivity of skin cells to oestrogen hormones. This provides effective treatment of cellulite in 80 % of women. Skin elasticity increases, and fibrosis is reduced. The treatment feels amazingly relaxing – most people can’t stay awake! It is a great treatment unto itself or can be combined with other modalities. Ultrasound verification of tissue behavior under the effect of Deep Oscillation .